A comprehensive assessment of schools and district safety procedures across Tennessee will be completed by the end of the month, Gov. Bill Haslam announced Tuesday. Haslam also announced that $35 million to improve school security funding was now available to districts who identified security and safety needs. As of Tuesday, 1,796 schools – or about 99 percent of Tennessee's public schools – have completed the security assessment with the remaining two percent set for completion by August 31, according to a news release. Gov. Bill Haslam gives the commencement address during Chattanooga State Technical Community College's Tennessee College of Applied Technology commencement ceremony at Abba's House on Friday, July 27, 2018, in Chattanooga, Tenn. Many of TCAT's graduates are part of Gov. 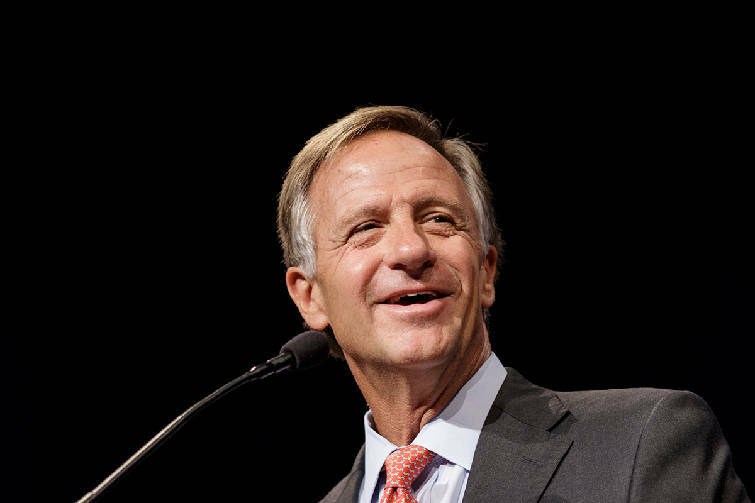 Haslam's Drive to 55 initiative, which aims to increase the number of Tennesseeans with post-secondary educations to 55 percent by 2025. In Hamilton County, all schools have completed the assessment, according to Tim Hensley, spokesman for Hamilton County Schools, in an email. Each assessment was signed off on by a law enforcement representative and each school plan uploaded to the state system, he added. After a deadly shooting at a high school in Parkland, Florida that left 17 dead and an incident in Dalton, when a teacher barricaded himself in a classroom with a gun at Dalton High School in February, Haslam organized a school safety working group. "All children in Tennessee deserve to learn in a safe and secure environment," Haslam said in a statement. "I am confident the significant work undertaken by our state and local officials as well as the funding to implement identified areas for improvement will serve to enhance the safety of our schools, educators and students." In March, the governor's School Safety Working Group recommended the statewide review of school facilities and safety procedures and precautions. The recommendation, accepted by the governor, led to immediate safety assessments by the Tennessee Department of Safety and Homeland Security, in coordination with the Department of Education and local school officials, according to a news release. The 2019 fiscal year budget, approved by the Tennessee General Assembly, includes $25 million in one-time funding for schools to address security problems , and $10 million in recurring grant funding for ongoing safety and prevention programs. Districts can use grant funds for a variety of enhancements, such as addressing entrances and exits from school buildings, hiring and training school resource officers and improving in-school mental health resources for students. Hamilton County Schools have already upgraded security at school entrances, adding surveillance cameras and implementing a new visitor management system this year. The district also is in the process of hiring more school resource officers and exploring ways to partner with other area law enforcement agencies.